Buy Cotswold loose Dandelion tea 100g in the UK from our online shop or directly from our independent Scottish store. 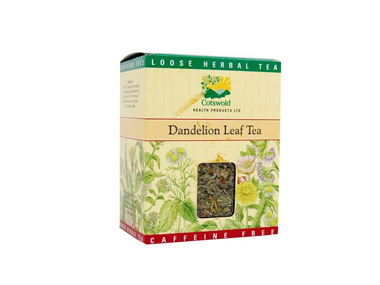 Dandelion leaf tea can help with digestion and the relief of constipation or diarrhoea. Where can you buy real Dandelion Tea 100g safely online? If you are wondering where you can buy Cotswold loose Dandelion tea 100g safely online in the UK, then shop with us. Dandelion Tea 100g - Cotswold loose Dandelion tea 100g in Loose Teas and Tea Loose & Bags.